This is Lion. He is a little blue penguin and has an orange bracelet on his left wing. Lion is named after Lion Island which is the largest little blue penguin breeding island near Sydney, Australia. The island gets its name because its shape resembles the mythical creature, the sphinx. Lion Island was protected in a nature reserve in 1967. It is an ideal little blue breeding habitat because it is free of feral cats and foxes, which are introduced predators of little blue penguins. Lion was born here at the Aquarium on April 14, 2008. 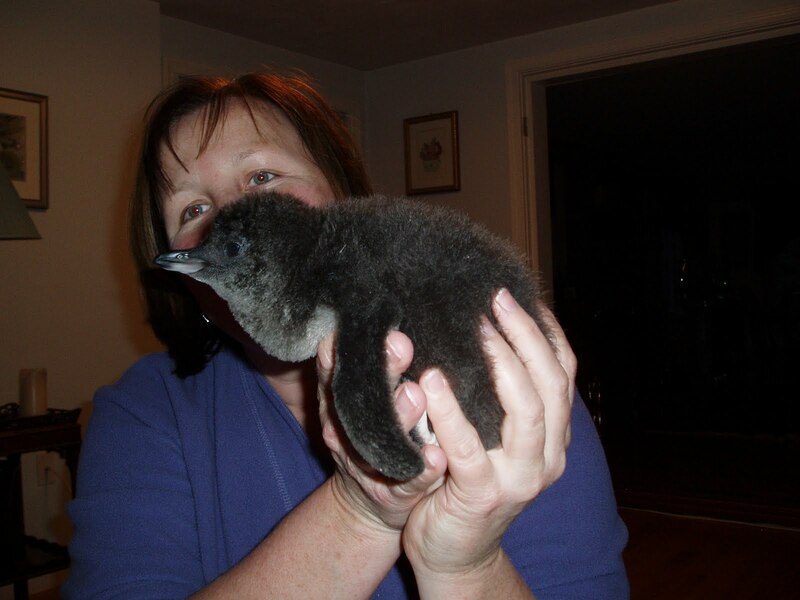 While all penguin births are special to us here at the Aquarium, Lion’s was a very special case. Lion’s egg was overdue to hatch. We made the decision to try to help the chick inside hatch out by manually opening the shell. When Lion was finally hatched out we returned him to his parents. Unfortunately, for whatever reason, his parents rejected Lion and would not care for him. In order for Lion to survive we had to step in. Lion required around the clock care (not unlike a newborn baby). This required Heather and Caitlin to take him home each evening to feed him and make sure he stayed warm. 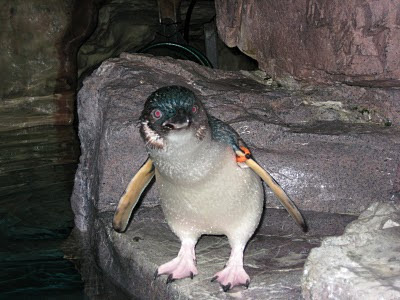 Once he was older and was fed on a more normal schedule (3-4 times a day, instead of every 3-4 hours) he remained at the Aquarium with other little blue penguin chicks that were born that season, until he was introduced into the exhibit on July 16, 2008. This heartwarming story of Caitlin and Heather literally taking their work home with them caught the media’s eye. And for weeks Lion’s story was in the newspaper, and on the local news. Lion, Heather and Caitlin even appeared on CBS's The Early Show. Click on the following news links to see more of Lion's 15 minutes of fame! There's more from MSNBC here. The Associated Press also put together a beautiful slide show narrated by Caitlyn.